“Fail to plan, plan to fail” goes the saying. Organisation and preparation are key when it comes to a move, and here Selectra has compiled a step-by-step timeline and guide to help make your move to France a success. Here are a few things to bare in mind when starting your moving process. To help you with this, the following guide details every step of the journey, from the first steps before you move to dealing with transportation once you are installed in your new home. Note that, in conjunction to the list below, you should also take care of the general processes which come with any move regardless of the place of relocation. First of all, it is important to note that some nationalities require a French visa or residence permit to live in France for more than 3 months, so make sure to check whether you need a reside. There are 2 main types of French Visas: those of short stays and other for long stays. On top of this, the French Law divides the French territory into 3 categories, where different rules will apply. Find out all about getting a Visa in France in this dedicated guide. Note that in some cases, in addition to a visa or resident permit, you may also need to find a job in France before your move and be able to provide proof of employment to the French Authorities. Whether buying or renting a place to live in France, starting your research early is always recommended. Indeed, whether you are looking for an apartment or a house, finding somewhere to live is arguably one of the most difficult aspects of moving to France. This said, by keeping your options open and preparing adequately, you will put your chances on your side and avoid the stress of finding a place to call home. By looking up on websites such as Le Bon Coin, Appartager, SeLoger, Particulier à Particulier or French Property. On dedicated social media groups, such as the many France housing groups on Facebook - for instance, search for "Logement Paris" to find plenty of flatsharing, renting and selling opportunity in the capital. 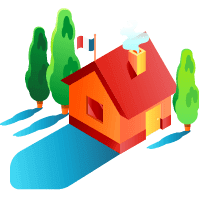 For students, you can check out the Campus France and CNOUS websites to find student accommodation and housing advice. Note that some markets are very competitive and saturated, such as rentals in Paris, so be prepared to do quite a lot of scouring. Reaching out to an agency, although this may incur extra costs, can increase your chances of finding a house or apartment in the capital quicker. 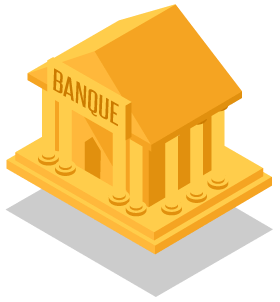 Holding a French bank account can be very useful, especially for paying bills or rent. You will for instance need a French RIB in order to open a French phone contract, or open your electricity meter. The process can be completed within the same day. After that, you will be able to obtain your French bank card and a cheque book within the next 7 to 10 days. Because of the delay between opening an account and receiving your bank card, it may be useful to bring some euros with you, in order not to be out of cash during your first week in France. Note that you may even be able to open an account before you move, depending on the bank you choose. You will have to register with the French authorities, regardless of your nationality. If you hold a long-stay visa, you also need to register with the Office Français de l‘Immigration et de l’Intégration (OFII) within the 3 months of your arrival. Because the process takes a long time, and requires several steps such as a medical exam and an interview, it is advisable to start the process as soon as possible. Health insurance is mandatory to access the French healthcare system. To be covered by the state French health insurance (Sécurité Sociale), you will need to register with the CPAM (Caisse Primaire d’Assurance Maladie), else you can take out a private health insurance. Make sure to register with all your relevant health specialists. Note that, in France, you have to nominate one doctor as your referring professional, who will oversee your health and manage your medical record. When choosing your GP, you can consider getting advice from friends or colleagues, or find a lists of doctors near you on the CPAM’s online directory. If you are moving into a new home, you will be in charge of setting up utilities and gas or electricity in your name, even if there is still energy in the house when you arrive. To set up electricity or open a gas account in France, you can call a Selectra English-speaking advisor at 09 87 67 37 93, or ask for a free callback, to get help in find the supplier and plan that will best suit your needs. Just note that meter opening rates are regulated and depend only on the response time desired by the customer - not the supplier. As of March 2019, in France it will cost you €21,23 for an electricity meter and €18,58 for a gas meter for opening in standard time, which is within 5 working days. It is worth signing on for a French phone plan, as these are typically fairly cheap and having a French number will be very useful for any administrative processes. As for setting up Internet in France, you can easily get hold of a plan as providers and offers are plentiful and competitive on the French market. Call us at 09 77 55 72 27, or get a free callback to get more information about broadband in France, and subscribe to a phone and internet plan in minutes. The day after you arrive in France as a French resident, your status as a tax resident becomes effective. Be sure to request your French tax return form and register with your area’s tax office on the official government website. 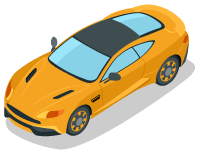 Note that to get insurance, you may need to convert it to a French driving licence, or even retake the test depending on where you passed it originally. EU licences will be valid in France, but non-EU licences will have to be changed after a year and need an official French translation. Many French cities have well developed public transportation networks, from trams to metros, trains and buses, all of which are quite affordable. Start by doing some research on the transports available in your city, and if possible, subscribe to a transport pass to get preferential rates on the long run. For instance, in Paris, you can get hold of the Pass Navigo, which will give you unlimited access to the Parisian metro network in exchange of a fixed monthly payment. Also look out for the SNCF (the national trainline operator) youth passes if you are under 27, as these can help you save a lot on your train rides.